Last year, the Grand Theater of Palais des congrès de Paris was the site of two musicals organized as part of Japonismes 2018, Touken Ranbu: The Musical “Atsukashiyama Ibun 2018 Paris” in July and “Pretty Guardian Sailor Moon” The Super Live in November. Though in the same genre, the two productions were distinctively different presentations, so we wondered how the Parisian audiences reacted to each in France. 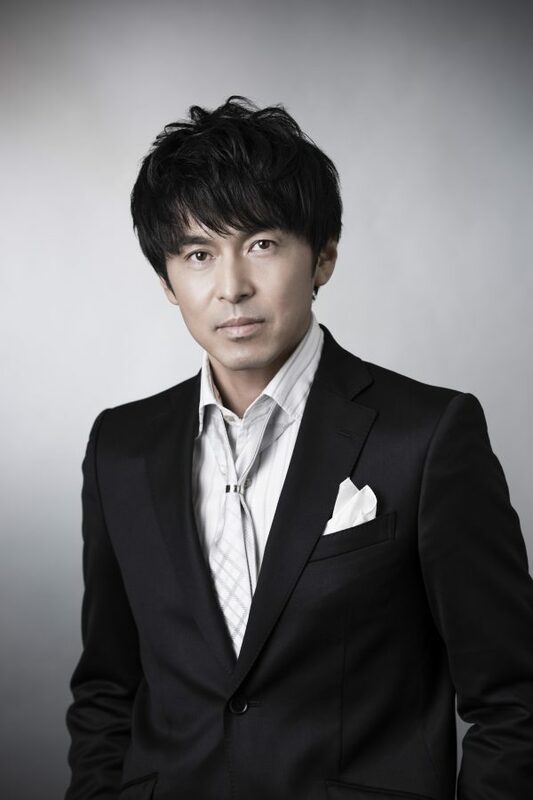 For answers, we turned to Makoto Matsuda, Chairman of the Japan 2.5-Dimensional Musical Association. ―What was the reaction of the audiences in France? The two productions drew very different reactions from their audiences. Touken Ranbu attracted a large number of devotees from Japan, so it was very interesting to see a mixed assembly of Japanese and French fans. A member of the cast suffered a detached retina not long before the show, so the decision was made to have him perform just vocally offstage. However, the audience seemed very understanding about this unusual approach. What really surprised me about their reaction, though, was what happened after the curtain fell. Both the French and Japanese fans gathered in lobby and together made senbazuru (folding and stringing together 1,000 origami cranes to express wishes for a speedy recovery or other hopes) and yosegaki (placards bearing messages from different people). It was a spontaneous celebration of their favorite works, characters, and performers, and I was deeply moved seeing this cross-cultural sharing among people of different ethnicities and ages. The audience for Sailor Moon was predominantly French, with some visitors from other parts of Europe, the US, and so on. That gave me a good sense of just how widespread and firmly entrenched the Sailor Moon fandom has become outside Japan, which is understandable, given how long the source manga and anime have been adored overseas. ―Were you surprised by the passion of the fans overseas? The video game Touken Ranbu – Online isn’t available for play in France, but there are French fans who have recreated the costumes of its characters with amazing accuracy. In the same year We staged the musical Touken Ranbu for the Japan Expo in Paris, and some of the people who attended were dressed in faithful reproductions of the costumes, likely having referred to videos and photos to get every detail right. There were also young people who seemed to live for the opportunity to dress up like that and assume the identity of their beloved characters. I was deeply touched by this outpouring of passion, and I really feel grateful for it. ―It seems that the fans’ passion is driven in part by the rising tide of interest in Japanese pop culture. Touken Ranbu is about Touken Danshi, swords that take on human form, so it definitely taps into the heart of Japanese culture. And, Sailor Moon can be seen as the genesis for Japan’s contemporary pop culture, which has become known globally through performers like Perfume and Kyary Pamyu Pamyu. That’s why I think 2.5D musicals have become the form of entertainment that most strongly creates a Japanese vibe for people overseas; these works recreate a familiar fictional world that has been part of those fans’ psyche since their childhood. I’m often asked what changes we make to 2.5D musicals to adapt them to audiences outside Japan, but to be honest we put very little effort into that. No matter which country you go to, the audiences laugh at the same scenes and cry at the same scenes. That’s because they all have grown up on a diet of Japanese anime and manga, and so these media have a universality for people across the globe. We’ve staged 2.5D musicals in all sorts of countries during the roughly ten years since the first overseas production in 2008, and I can say that with each passing year I grow even more convinced that this genre resonates with people in any culture. ―What were the reactions of the cast members? They don’t have many opportunities to perform overseas, so it was a joyful experience for them, with a little nervousness mixed in. I think everyone on both casts saw anime and manga as a core part of Japanese entertainment and felt motivated to provide audiences overseas with live performances of that material. Sailor Moon was attended by many families, and the little kids were excited about having their picture taken with the Sailor Guardians. The entire casts of both shows had a very strong sense that they couldn’t let down the fans of the source works, and that they were on an important mission as cultural ambassadors of Japan. Members of the Sailor Moon production took part in the Japonismes 2018 send-off party held in Japan, and many other people attending wanted to have their photos taken with the Sailor Guardians, so we ended up having an impromptu photo shoot (grins). Guests from overseas and even the French ambassador joined in, and it was then I really felt that the Paris project was on the move, that people with this kind of passion were waiting for us on the other side of the world. For those people, the musicals would allow them to experience the real thing from Japan. And so I began feeling even more pumped up about what we were getting ready to do. There were many French fans decked out in Sailor Moon costumes, and in my eyes they looked really awesome, like what the characters would look like in real life. For the French audiences, though, Sailor Moon wasn’t Sailor Moon unless played by Japanese performers. That’s exactly why I think there was value in staging it overseas with a Japanese cast. ―Sailor Moon is going to the US this year. What’s the next challenge for you in presenting 2.5D musicals abroad? Actually, we still haven’t staged that many productions overseas. One of the biggest challenges is cost. We take dozens of cast and crew members abroad and spend days setting up, so it’s hard to be cost effective with just one or two shows per production. Still, I’m hoping to boost our opportunities to perform outside Japan, because I’m confident that anyone who sees the musicals is going to become a fan. So, I’m trying to find ways to lower our costs and increase our agility to set up performances. ―Is opening 2.5D musical theaters in the world’s major cities an option for you? I’d die to have our own theater in some city like New York (grins). But, there are many, many steps that we have to take before we can get there. So, what we’re focusing on now is to present 2.5D musicals abroad with Japanese casts. Hopefully, that will eventually raise the profile of this genre, and at that point we may become able to do things like stage Sailor Moon in Chinese with a Chinese cast. ―We understand that you put on shows live-streamed to theaters across Japan with a combined audience in the tens of thousands, and that you also broadcast to venues overseas as well. Does this count as one of those steps you’re taking? In regions that have a big time difference with Japan, like North and South America, the screenings are pre-recorded, but we do live-stream to Taiwan, Hong Kong, Australia, and South Korea. It’s really exciting to picture fans in different countries all cheering and clapping at the same time, don’t you think? ―You’re connecting people across borders with your productions. If you keep striving in different ways to firmly build audiences for your works, you might fill more and more children abroad with the desire to become 2.5D musical performers and play the role of the hero or heroine. I think it would be great to have Sailor Moons all around the world. Isn’t it a wonderful story to imagine, to have youths dreaming of becoming heroes work hard at developing their acting and singing talents and finally land the lead one day? I’m reminded of Russian figure skater Evgenia Medvedeva, who made an impression at a recent international competition when she did an exhibition routine dressed as Sailor Moon. I think she was living her own dream with that performance. I want to evolve 2.5D musicals into a realm where people can make their dreams come true. I’d be really happy if the Touken Ranbu and Sailor Moon shows we did for Japonismes 2018 open the door for audience members to bring their dreams to reality. 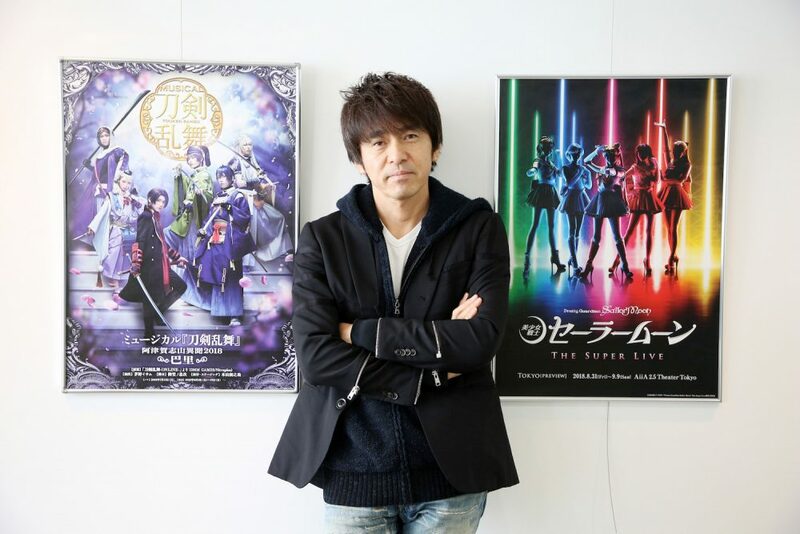 CEO, Nelke Planning Co., Ltd.
Signature productions are the musical “The Prince of Tennis”, the musical “Touken Ranbu”, Live Spectacle “Naruto”, the musical “Pretty Guardian Sailor Moon”, the musical ”Kuroshitsuji”, “Romeo & Juliet”, “L’Opera Rock Mozart”, and “Amelie”, Gekidan Exile shows. Featured on the TBS documentary series Jounetsu Tairiku in January 2018. He also pursues diverse new forms of entertainment apart from theater as one of Japan’s lead figures in the stage entertainment business.